CONCERT II (May 6): The Suites from 1728 and virtuoso works from manuscripts. Continuing the great tradition of Wm. 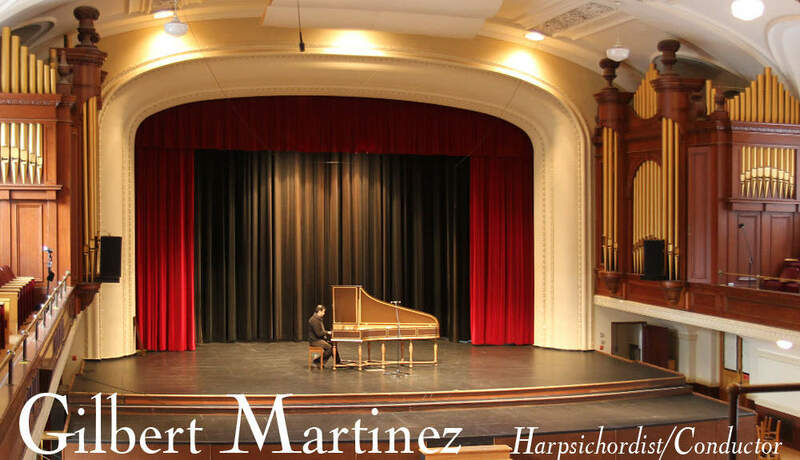 Neil Roberts, Harpsichordist Gilbert Martinez performs the all the great works of Rameau in two concerts. Rameau's music is infused with the spirit of French baroque theater, challenging the performer to great artistic and technical demands. These performances are dedicated to Wm. Neil Roberts and coincide with Gilbert Martinez' new publication of the keyboard works in an authoritative edition.